One of the most challenging problems when facing the implementation of computational grids is the system resources effective management commonly referred as to grid scheduling. A rule-based scheduling system is presented here to schedule computationally intensive Bag-of-Tasks applications on grids for virtual organizations. There exist diverse techniques to develop rule-base scheduling systems. In this work, we suggest the joining of a gathering and sorting criteria for tasks and a fuzzy scheduling strategy. Moreover, in order to allow the system to learn and thus to improve its performance, two different off-line optimization procedures based on Michigan and Pittsburgh approaches are incorporated to apply Genetic Algorithms to the fuzzy scheduler rules. A complex objective function considering users differentiation is followed as a performance metric. 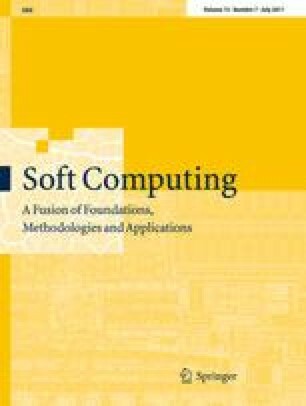 It not only provides the conducted system evaluation process a comparison with other classical approaches in terms of accuracy and convergence behaviour characterization, but it also analyzes the variation of a wide set of evolution parameters in the learning process to achieve the best performance. This work has been financially supported by the Andalusian Government (Research Project P06-SEJ-01694).